I have kept my prices constant for a number of years now, but I am putting my London prices up with effect from Wednesday 19th June. I will be charging £60 per hour and £80 for 90 minutes. New clients are required to pay in advance for the first session. This can be done using Paypal at the bottom of this page or I can give you my bank details. Existing clients can continue to pay on the day. Cancellation charges of 50% of the full treatment price apply to any appointments cancelled within 24 hours of the scheduled appointment time. Cancellation charges of 100% of the full treatment price apply to no-shows without any cancellation notice. I offer what is sometimes called complementary or alternative therapy on a very personalised basis. I prefer to think of it as integrated healthcare, involving the body-mind on a physical level and accessing the universal consciousness or inforealm on an energetic level. I work in a very hands-on way, weaving together the techniques of Craniosacral Therapy, Reiki, Shamanic Healing, Tantra, past life regression therapy, breath work and constellations techniques as seems optimal for each individual in an approach I call Temenos Touch. More information about each of these healings is available on the following pages. Reiki, translated as universal life force energy, helps activate your own internal healing energy to release blockages that may have physical or emotional sources and which are resulting in physical symptoms of all kinds, low energy, depression, feelings of being out of balance or disconnected. If you choose me to be your Reiki Master please note that I now very clearly split the level 2 attunement into two sections. One part is pure Reiki - the hand positions, the meditation, the symbols, the attunement, and distance healing. The second part is holding the therapy space in a safe way for clients, many of whom have suffered trauma and abuse - the personal interconnection when we are working with another. Shamanic healing has the intent of empowering the client to heal themselves – to step into their potential and accept responsibility for their destiny. The techniques are mainly those of the Qero of the Andes, Peru. The process works to clear blocks from the aura (known as the luminous energy field) when necessary (these could be entities or psychic daggers) and release limiting beliefs, often caused by trauma in this or a previous life, or carried down the generations from the ancestors. The intention is to assist the client to live in a different way from this moment forwards. 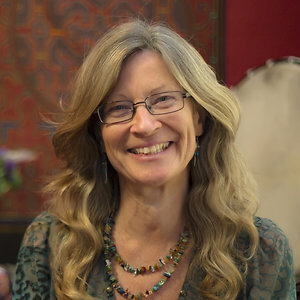 The initial Shamanic healing appointment typically lasts about ninety minutes during which time we will assess your current situation and the issues you want to work with. It will frequently, but not always, include an illumination or a soul retrieval, and sometimes an extraction of heavy, stuck energy and possibly cutting cords to people that you feel are taking energy from you or that you have an unhealthy attachment to. The initial charge is £75. Subsequent sessions are tailored to your individual requirements and last between one hour and ninety minutes, at a charge of £50 per hour. Craniosacral therapy is a subtle yet profound healing form which assists the body’s natural capacity for self-repair, helping to release deeply held patterns resulting from physical or psychological trauma. It treats people and causes rather than symptoms and labelled conditions. CLICK HERE I find myself frequently coming into contact with therapists and other medical professionals who are feeling tired, worn out, drained, depressed or anxious because they have taken on 'dis-ease' of one sort or another from their patients, through a variety of methods of transference. If you are working as any kind of health worker and feel this way, I offer cleansing, rebalancing of your energy field and then techniques for protecting yourself in future. Each session lasts one hour and costs £50. Further details are on the Therapy for Therapists page. Please sign up on the subscription form to the right hand side to receive the password to view this video. You will immediately receive a confirmation email - which depending on your security settings may unfortunately go into your spam folder. If it does, simply mark the email as 'not spam' and the password will then come through to your inbox. The video explains how ritual appears to be essential to bring the information received by the right brain from the inforealm into the left brain and everyday awareness. I hope you enjoy it and find it helpful. For new clients only in either Brighton/Hove or South London I ask for payment in advance for the first session. 1. By using this website you agree to be legally bound by these terms, which shall take effect immediately on your first use of this website. If you do not agree to be legally bound by all the following terms please do not access and/or use this website. Your continued use of this website after changes are posted means you agree to be legally bound by these terms as updated and/or amended. 2. All rights, including copyright, in this website and its contents, are owned by Evelyn Brodie. In accessing this website, you agree that you will access the contents solely for your own private use and not for any commercial or public use, distribution or publication. You may not copy, reproduce, republish, download, post, broadcast, transmit, make available to the public, or otherwise use this website content in any way except for your own personal, non-commercial use. 3. You agree not to adapt, alter or create a derivative work from any of the material contained in this site or use it for any other purpose other than for your personal non-commercial use. You agree to use this site only for lawful purposes, and in a manner that does not infringe the rights of, or restrict or inhibit the use and enjoyment of this site by any third party. Such restriction or inhibition includes, without limitation, conduct which is unlawful, or which may harass or cause distress or inconvenience to any person and the transmission of obscene or offensive content or disruption of normal flow of dialogue within this site.